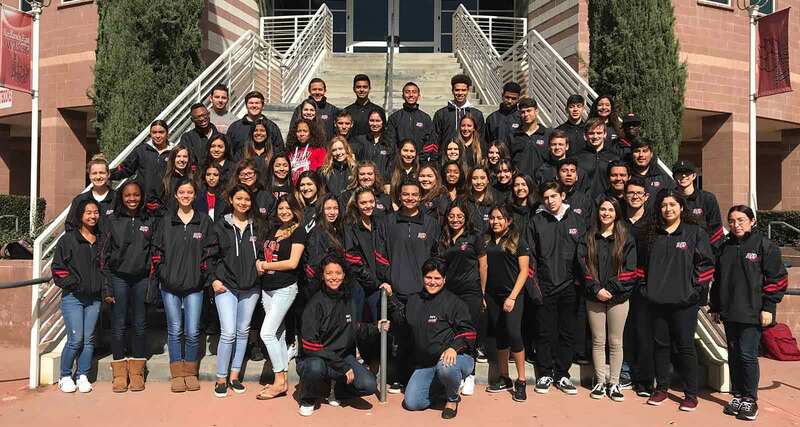 For the past decade, the AVID program at Redlands East Valley High School has set the gold standard on campus for guiding its students toward college and beyond. Now REV AVID plans to make that standard official as an AVID National Demonstration School. Redlands East Valley High School’s AVID program has cultivated a culture of impact. Soon that impact will be recognized nationally. Several months into the two-year qualification cycle, the Southern California campus is poised to join the ranks of about 300 National Demonstration Schools that the non-profit AVID Center points to as exemplars of the AVID college readiness program. Part of the normal school day, AVID (Advancement Via Individual Determination) is an academic program that equips students with the skills, resources, and mindset to pursue college and career opportunities after high school. AVID Coordinator Jana Bailey has spent 15 years refining REV AVID’s approach, resulting in multiple generations of students now having been transformed by the program. Statistics suggest that she knows what she’s talking about. 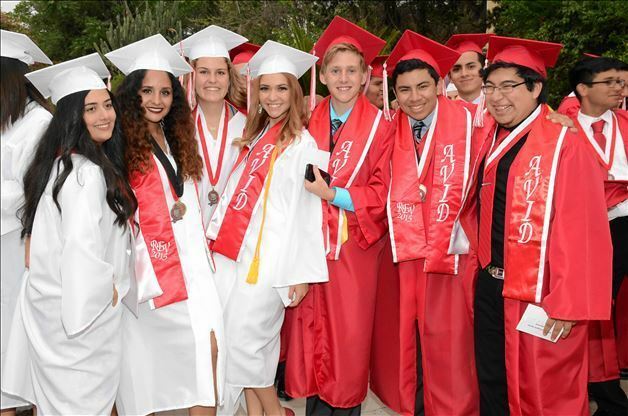 The history of REV AVID predicts that most – if not all – of the program’s 300-plus students will be accepted into a four-year university by the time they complete high school. You would never guess that the program that now supports over 300 students began in a small, quiet corner of the high school. When Bailey started as the AVID coordinator at Redlands East Valley in 2003 the program had about 100 students. According to Bailey, REV AVID was able to triple in size thanks to California state LCAP funding. Though the program previously had to waitlist interested students due to a lack of budget for more classes and teachers, with the additional funding, it could begin to meet the level of demand that had been growing in the school. Bailey said that when she first started teaching AVID almost twenty years ago, the AVID Center hadn’t yet set a formal curriculum – there were only looser guidelines in place. Eventually the AVID Center established expectations and a week-by-week curriculum in order to ensure consistency across all AVID programs, nationwide. Additionally, the AVID Center sends coaches to observe the AVID curriculum and tutorials at individual schools in order to ensure that each AVID program is truly preparing its students for success. Expanding beyond the walls of the AVID classroom, Bailey said that her school’s AVID program is “going school-wide in regard to best teaching practices.” The AVID team provides strategies and encouragement to the other teachers at Redlands East Valley to promote effective teaching practices. Bailey understands that AVID is not immune to the inevitable frustrations of students. “Incoming ninth graders who have never been part of the AVID program and don’t know the system – they’re going to have some growing pains,” she said. Adjusting to the expectations and practices of the program takes time. Ninth graders have to learn about how to hold tutorials, what is expected of a binder check, how to fill out their agendas, what is involved in good note-taking, and more. “But we have a very high retention rate once the end of the year comes around,” Bailey explained. Of course, senioritis hits AVID students, as well. Bailey said that grumbles from ready-to-be-done AVID seniors are not unheard of, with the almost-graduated students not always understanding why they have to maintain certain curriculum expectations. However, at the end of the journey, Bailey’s students recognize all that work – the checklists, scholarships, personal statements, college applications, FAFSA forms – was worth it. "They see that this is not just an academic class. It’s also their new academic family." REV’s AVID program operates on two main sources of funding: grants from LCAP and AVID fundraisers through Snap! Raise. Bailey reported that LCAP funding, which comes from the state of California, allows the program to hire college tutors that help AVID students with tutorials and binder checks, pay for teacher training and attendance of the AVID Summer Institute, and hire additional teachers for the AVID elective class. The money that REV AVID raises through Snap! Raise AVID fundraisers is primarily used for college visits; Bailey explained that each grade in the AVID program participates in three different visits each year. Most significant of these trips is the overnight tour. 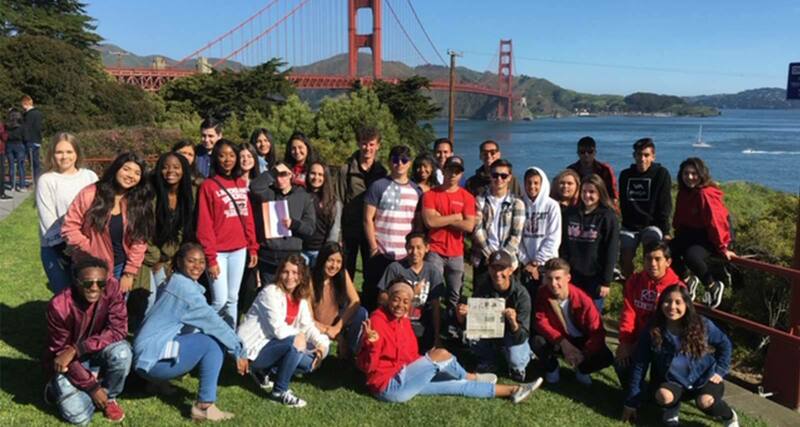 AVID students in their junior year get the chance to go on a four-day overnight trip to northern California to tour 14 different colleges. To raise the money for these trips, Bailey said that REV ran its first AVID fundraiser with Snap! Raise as a “pilot run” with the junior and senior students in January 2018. “I was actually kind of skeptical about doing this whole thing because I do have so many kids on free and reduced lunch. I didn’t think that they would feel comfortable asking their family and friends to help support them because of their situation,” Bailey noted. She was shocked at the outpouring of support. “It was amazing how much money was coming in in a short amount of time,” Bailey said. According to the AVID coordinator, students were surprised that family members they hardly had any connection with were donating anywhere from $30 to $150. “They just were so touched that people put forth the effort to donate to their cause,” she commented. The juniors and seniors raised nearly $10,000 through their first fundraiser. After the success of the pilot, Bailey decided to run another Snap! Raise AVID fundraiser at the beginning of this school year with all four grade levels. This time, REV AVID raised over $17,000. Bailey added that people in the community with no connection to any particular AVID student donated to the Snap! Raise fundraiser with the request that the money went to support whomever needed it most. “They know that it’s a program that’s going to help kids in the future and they’re willing to do that for us,” Bailey said. According to Bailey, over 75% of AVID students at REV will represent the first generation in their family to attend a four-year university. Meanwhile, two-thirds of the students in the student are a part of the free-and-reduced lunch program. Bailey reported that 100% of Redlands East Valley’s AVID students have been accepted into a four-year college in eight of the last nine years, 100% complete FAFSA, and about 92% ultimately received financial aid or scholarships. The massive success of the AVID program and its commitment to college and career readiness inspired the district to allow every Redlands Unified middle and high school student to take the PSAT and SAT for free this year. “What’s really special about being a program like this for so long is that I’ve taught multiple members of a family,” Bailey said. The coordinator recalled teaching four of a family’s five kids, and also teaching the daughter of a student that – years prior – had dropped out of the AVID program. Bailey also shared the story of one former student, the youngest of six kids, who became the first in her family to attend college. Ultimately, she was accepted into all 14 of the schools she applied to, with full or partial funding, and was even able to study abroad as an undergrad. She is now at Purdue University pursuing her PhD. According to Bailey, the student’s older siblings who missed out on the opportunity to participate in AVID are now trying to enroll their own kids in the program. For nearly two decades, Bailey has seen students devote themselves to pursuing and meeting powerful, meaningful goals. Having loved her own college experience, Bailey cherishes being a part of AVID and watching the program provide the opportunity for students to experience college like she did. Know an academic program that would benefit from additional funding? Start a Snap! Raise fundraiser today!